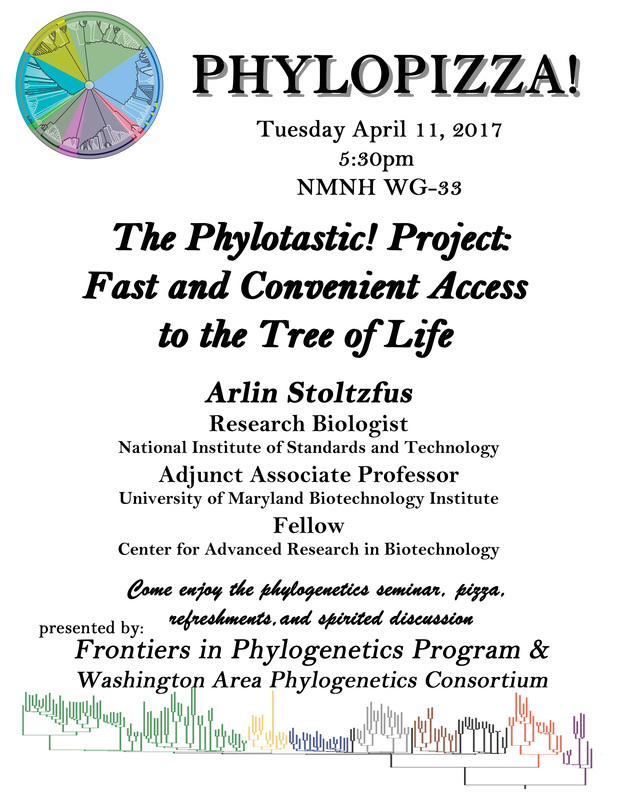 Our April PhyloPizza event will take place on Tuesday, April 11, at 5:30pm in the Vertebrate Zoology Seminar Room (WG-33). 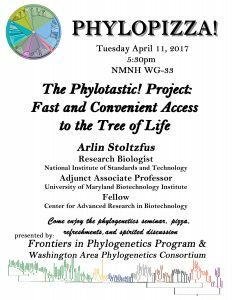 Dr. Arlin Stoltzfus will give a talk entitled “The Phylotastic! Project: Fast and convenient access to the Tree of Life.” Join us! Braun lab makes the cover of JEB! Congratulations to Braun Lab alum Dr. Sarah Kingston! 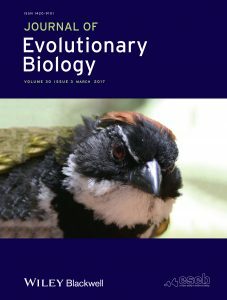 Recent publication of her dissertation work earned the cover of the Journal of Evolutionary Biology. You can find the paper here. The image is a photograph of a collared towhee, Pipilo ocai, on Nevado de Colima, Jalisco, Mexico. 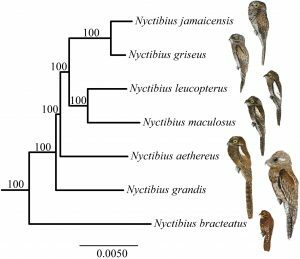 Congrats to Braun lab PhD candidate Noor White on the publication of “Ultraconserved Elements Resolve the Phylogeny of Potoos (Aves: Nyctibiidae),” in Journal of Avian Biology. Paper available here. 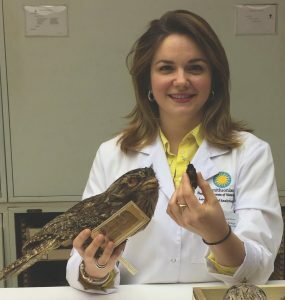 We are excited to announce that PhD candidate Noor White has received a three year postdoctoral fellowship award from the National Science Foundation for her project entitled “Visual Adaptation to Nocturnality in Birds.” Congratulations, Noor! Check out a recently published article from the Braun Lab led by PhD candidate Noor White, “A Multi-Gene Estimate of Higher-Level Phylogenetic Relationships among Nightjars (Aves: Caprimulgidae).” The paper was published in Ornithología Neotropical and is available here. Congrats, Noor! 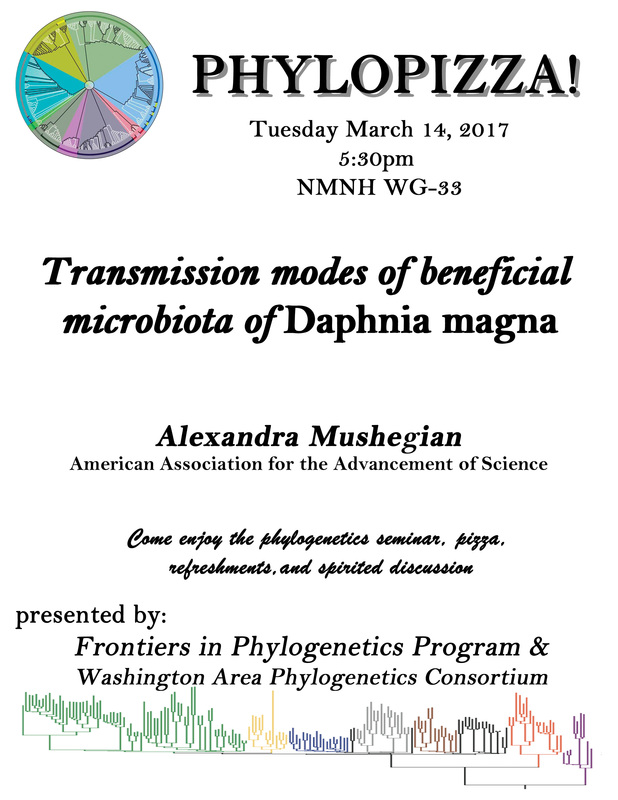 Our March PhyloPizza event will take place on Tuesday, March 14, at 5:30pm in the Vertebrate Zoology Seminar Room (WG-33). 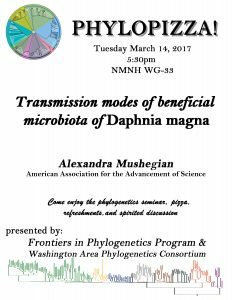 Dr. Alexandra Mushegian will give a talk entitled “Transmission modes of beneficial microbiota of Daphnia magna.” Join us!